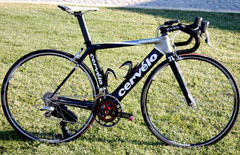 This year Rotor sponsors the new team Cervélo. 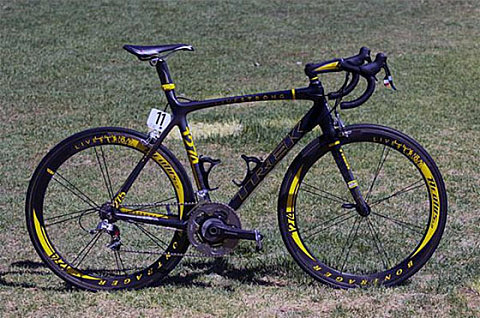 Some pro racers of the team in which 2008 Tour de France winner Carlos Sastre is, now test the latest Rotor crankset equiped with the Quarcq powermeter. During the bike presentation, Josu Mondelo, Arueda.com could take some pictures of this prototype. we wonder what can be the stiffness of this component. Wait and see. 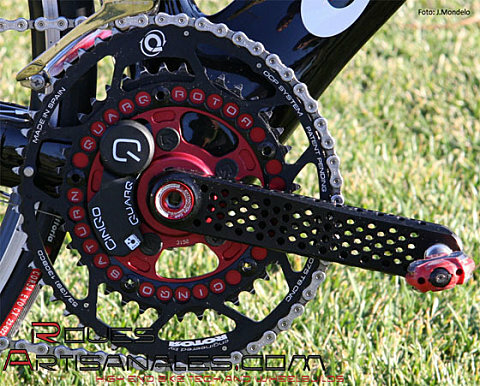 This new crankarms are equipped with Rotor Q-rings, of course. The early season, allow us to see the new equipment used by the pro riders for the new season. The Tour Down Under in Australia follow this « rule ». This year, the media exposition of this race is stronger than usually… For some months, this is THE return race of Lance Armstrong. The american champion is hooked on details so we were waiting some whim by Trek for this TDU and it’s done. 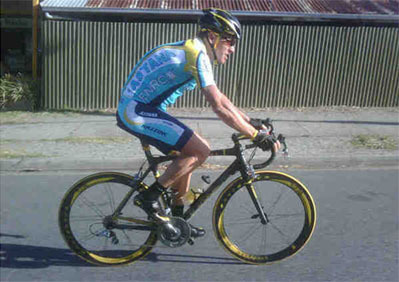 So Armstrong rides a personalized Trek Madone 6.9. The new frame is covered by a mate paint with yellow inscriptions enough… . It is said that the painting work would have taken 31 hours of work. Indeed, every single inscription is painted. There is no stickers. 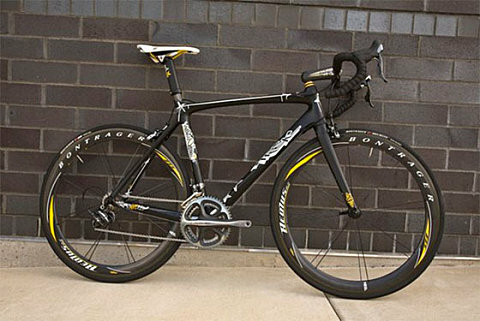 The bike is equipped with a Sram Red transmission, Bontrager components whose Aeolus 5.0 wheels with yellow stickers. Even the tubulars are yellow! It’s announced around 7.26kg. For training, the « boss » is of course equipped with an SRM. Trek will not sell this version but a wiser painting will certainly be for sale. It will come with a Shimano Dura-ace 7900 groupset. The stickers won’t be as yellow, and the « Livestrong » inscriptions disappear for a sober white paint.